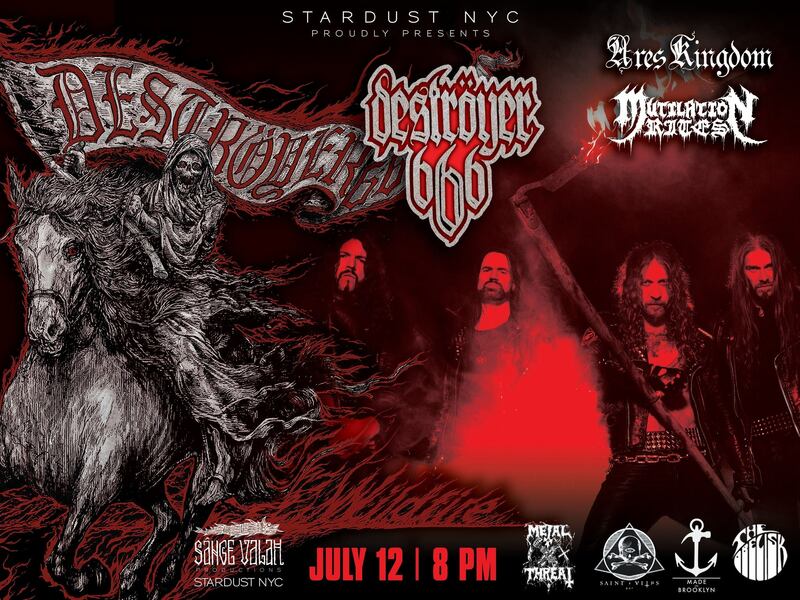 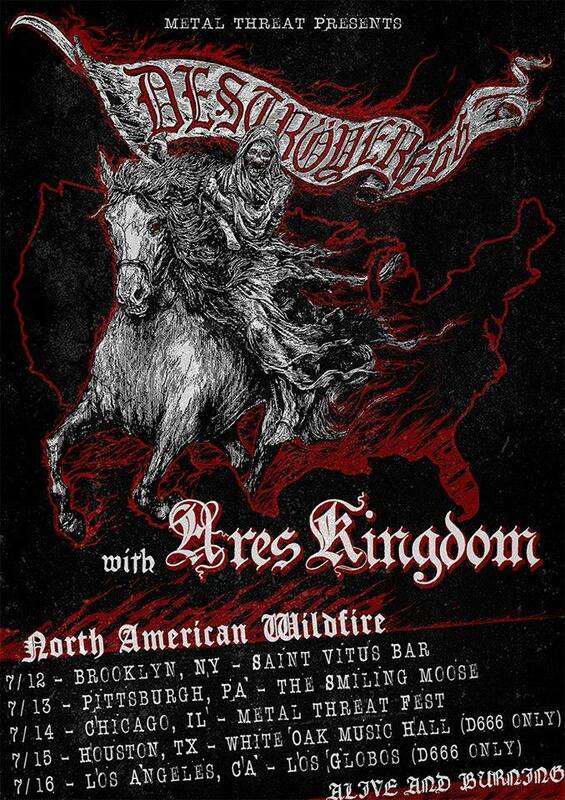 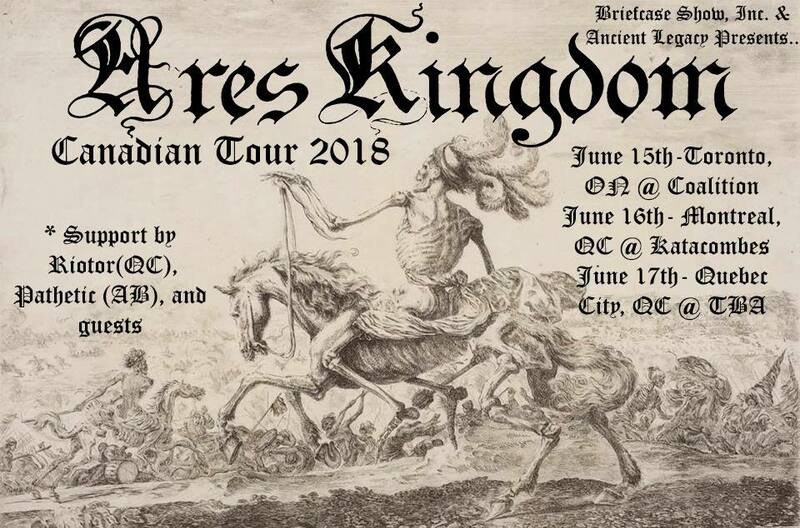 ARES KINGOM have been enlisted as direct support for nine dates of the WATAIN (Sweden) and DESTROYER 666 (Australia/England) February/March USA/Canada tour. 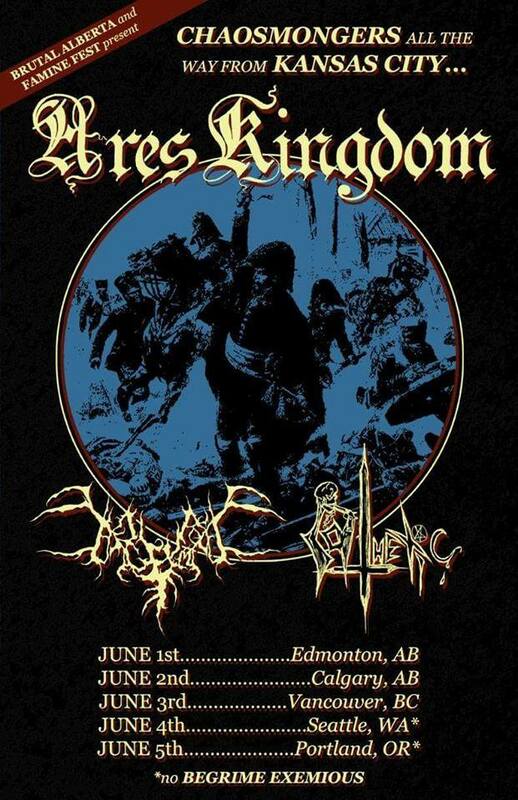 First time in Canada since 2009, as well as playing Seattle & Portland for the first time. 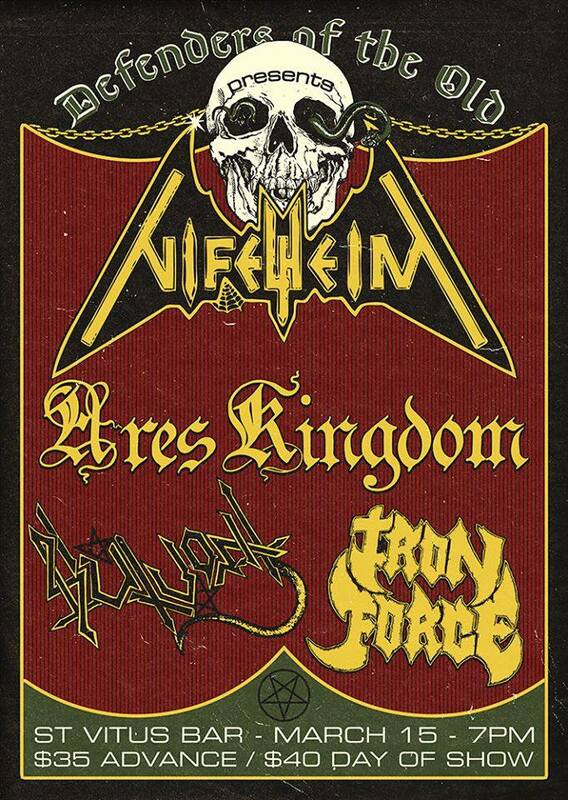 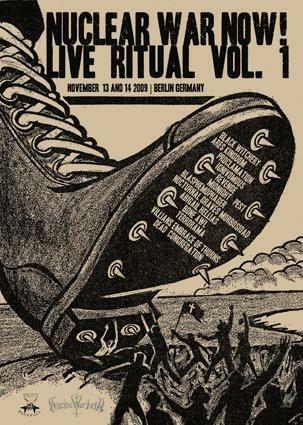 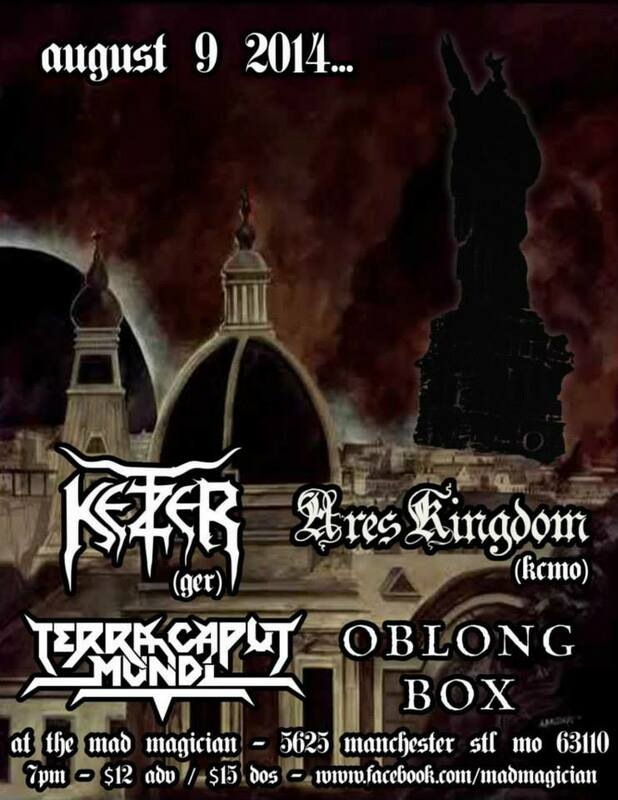 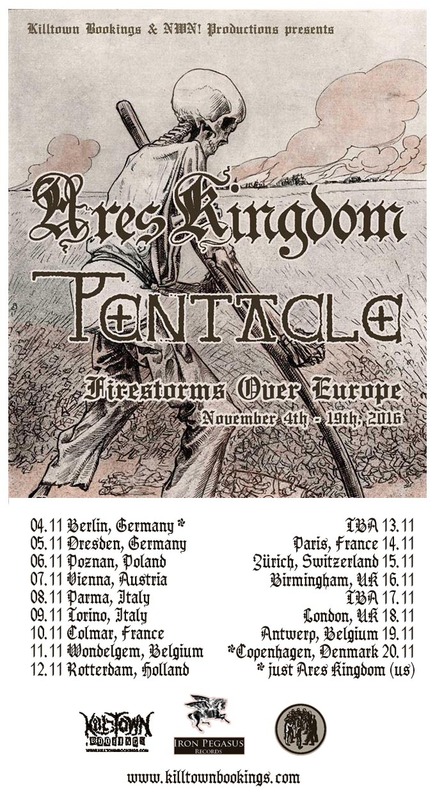 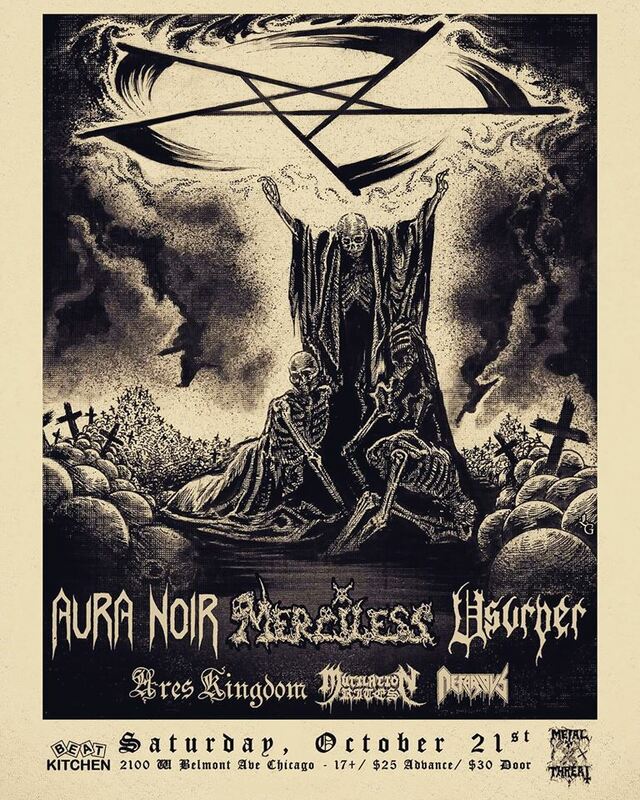 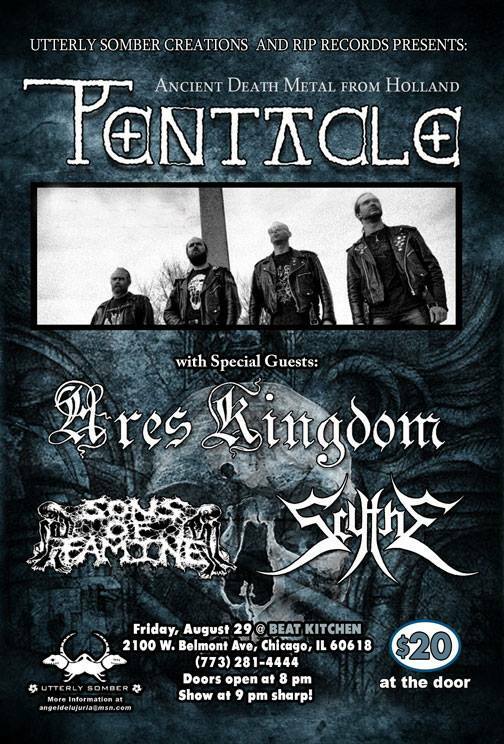 ARES KINGOM's first European tour and first times playing in Europe outside of Berlin, Germany! 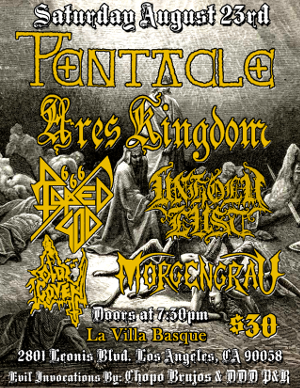 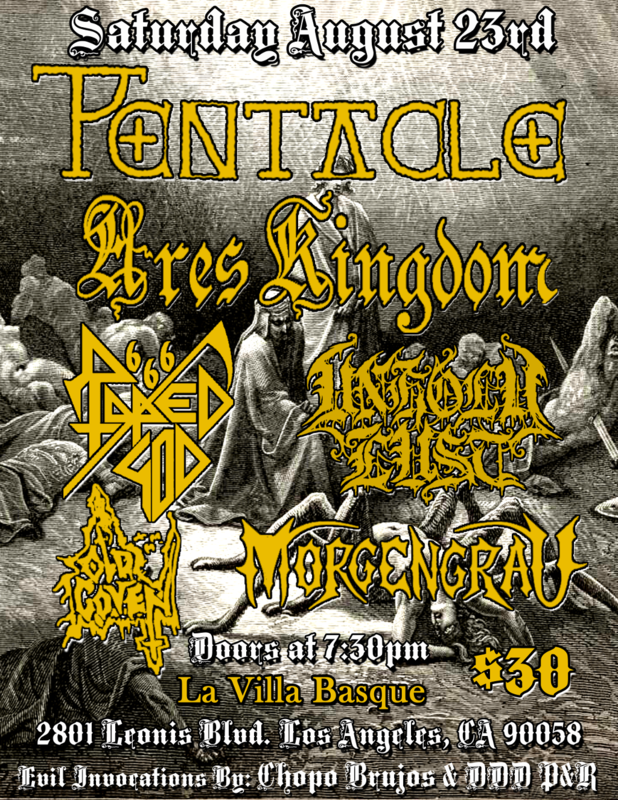 With old friends PENTACLE (Netherlands) supporting. 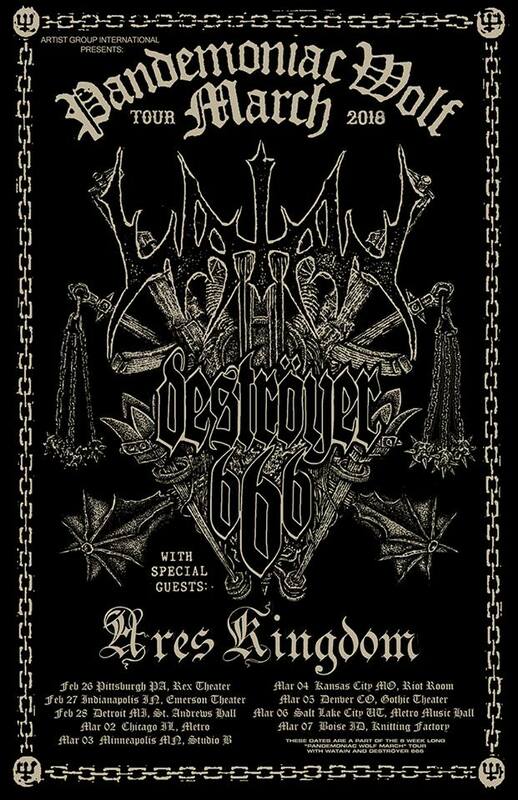 Ssupporting D666 on the first three days of their July 2016 tour. 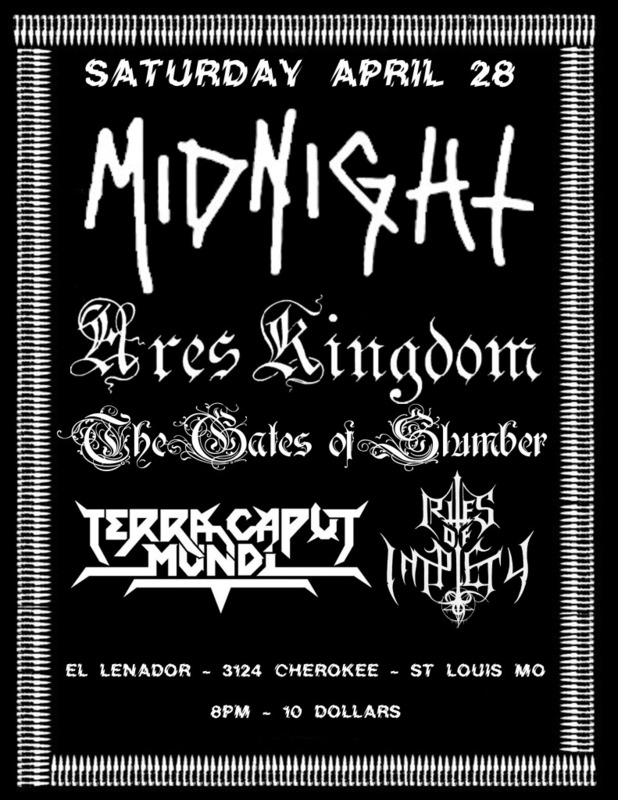 March 15th, 2015, Defenders of the Old Sunday show. 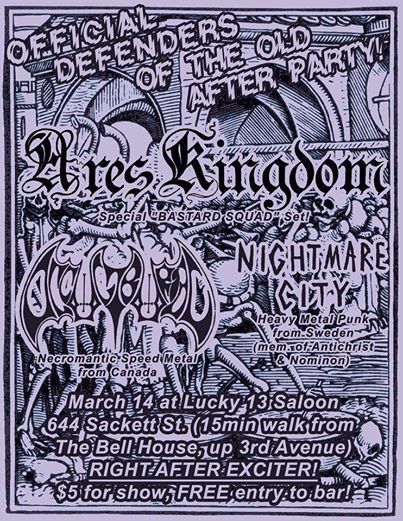 March 14th, 2015, Defenders of the Old Saturday night aftershow. 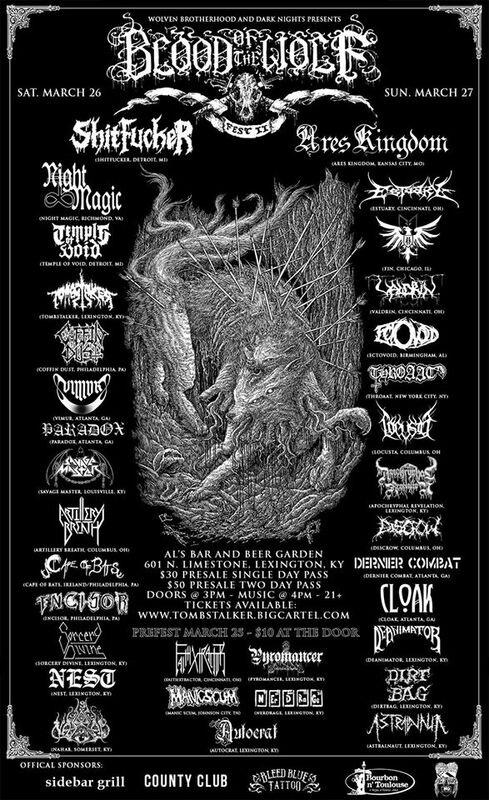 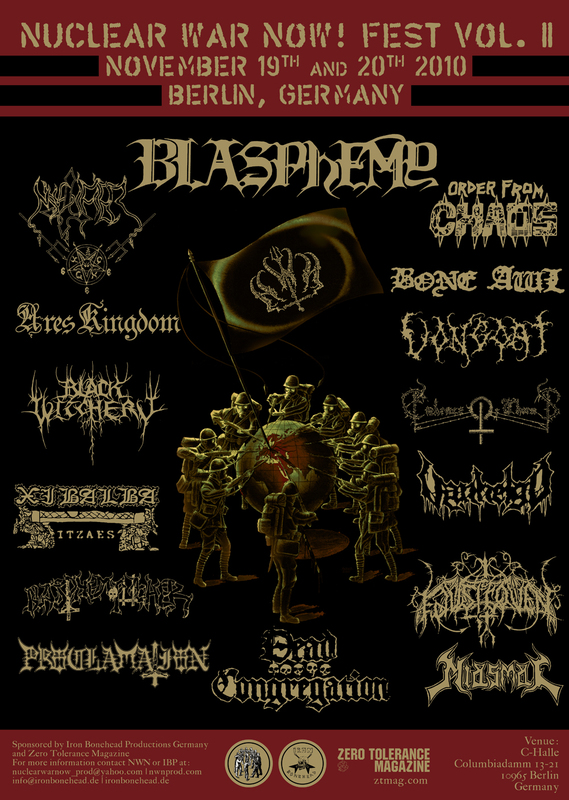 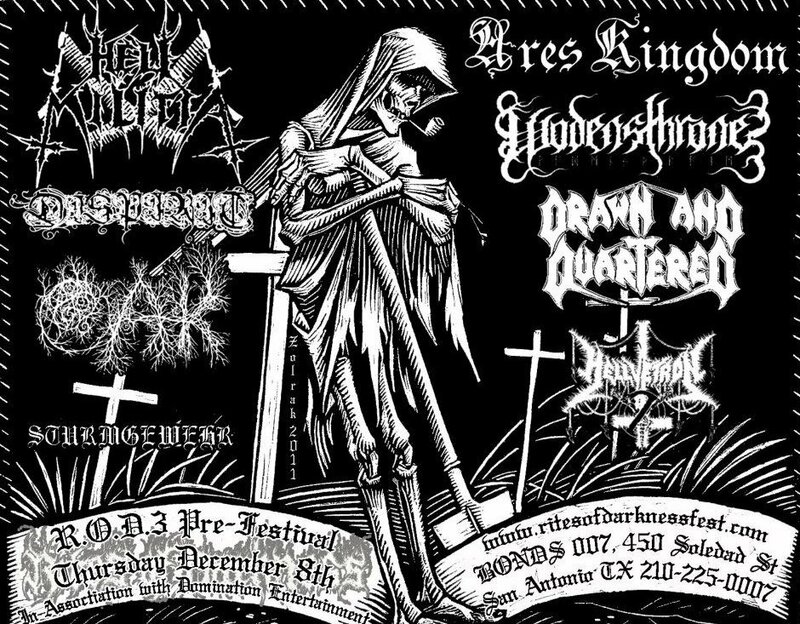 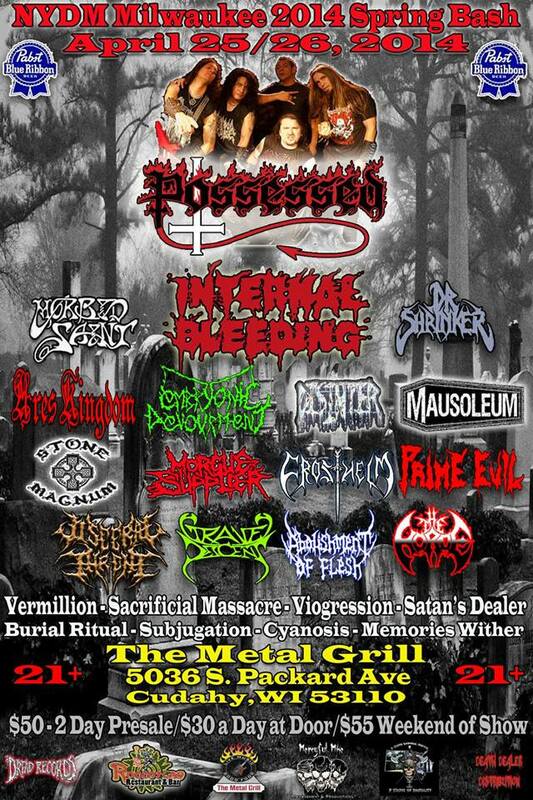 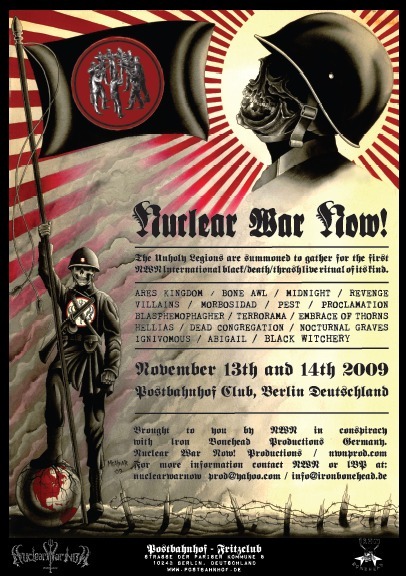 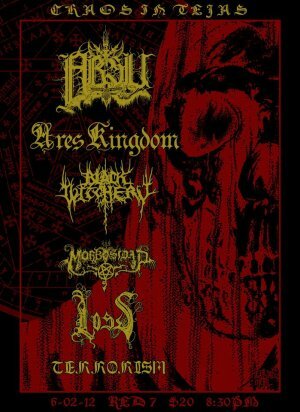 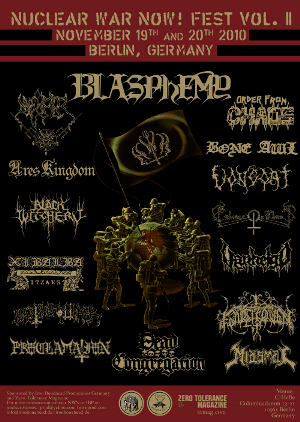 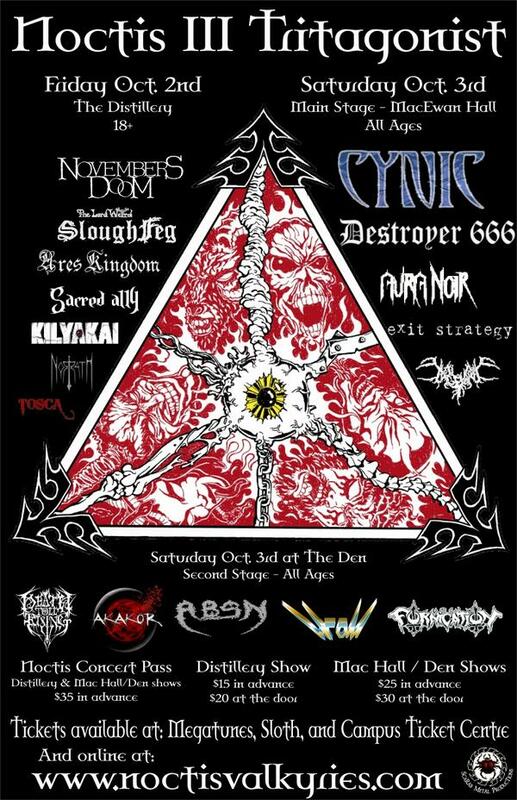 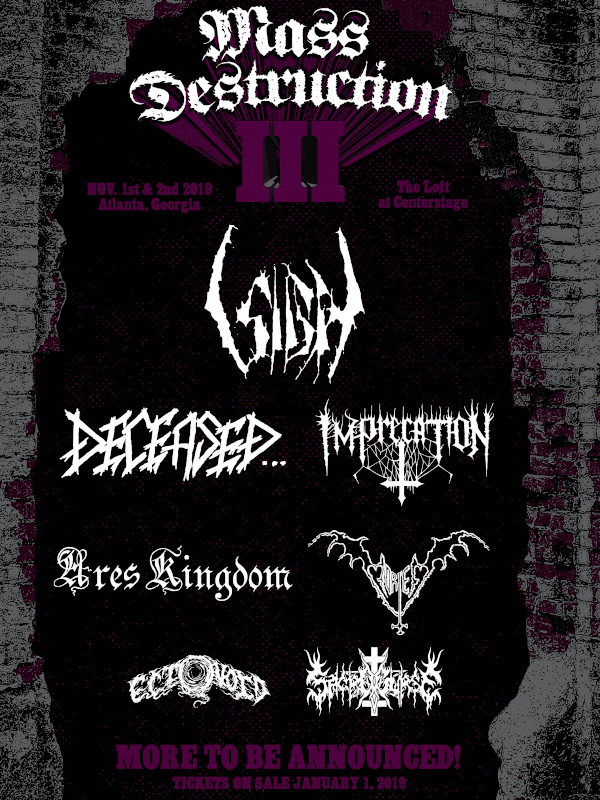 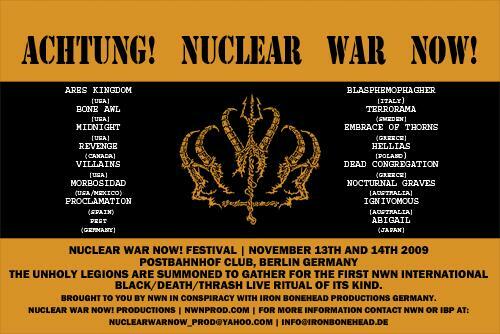 The unholy legions are once again summoned to gather for the second NWN international black/death/thrash live ritual. 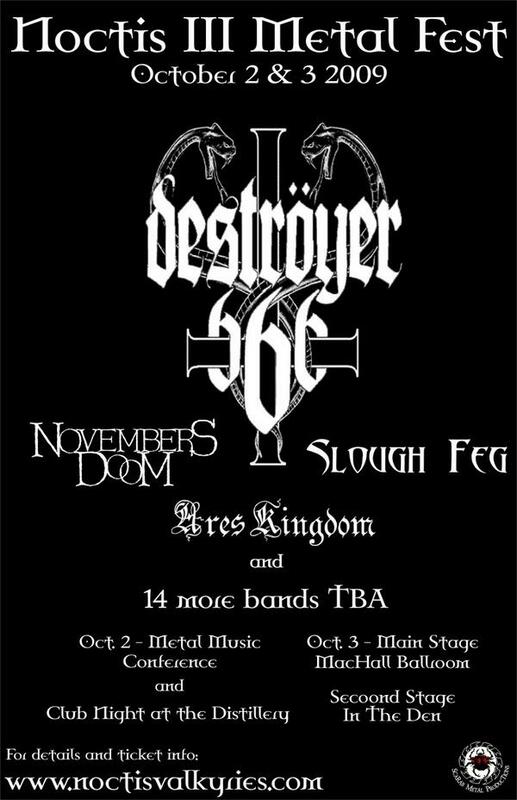 The fourth date of the Order From Chaos reunion tour! 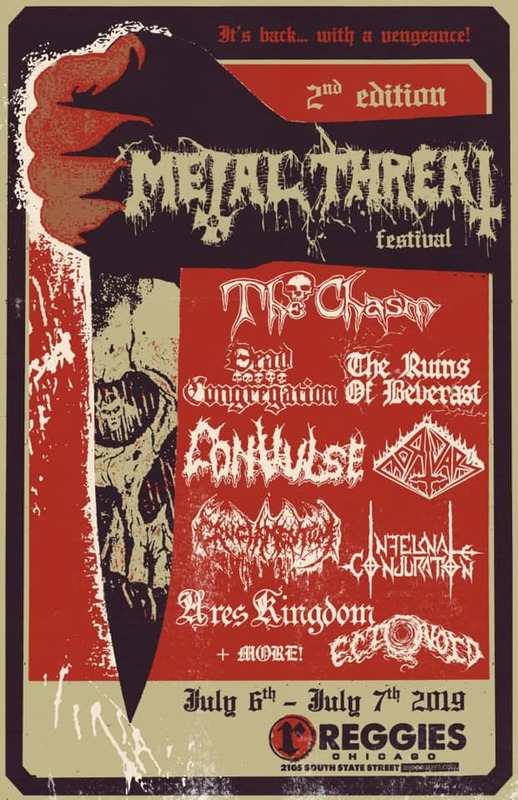 The third date of the Order From Chaos reunion tour! 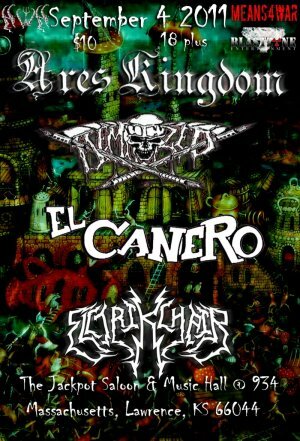 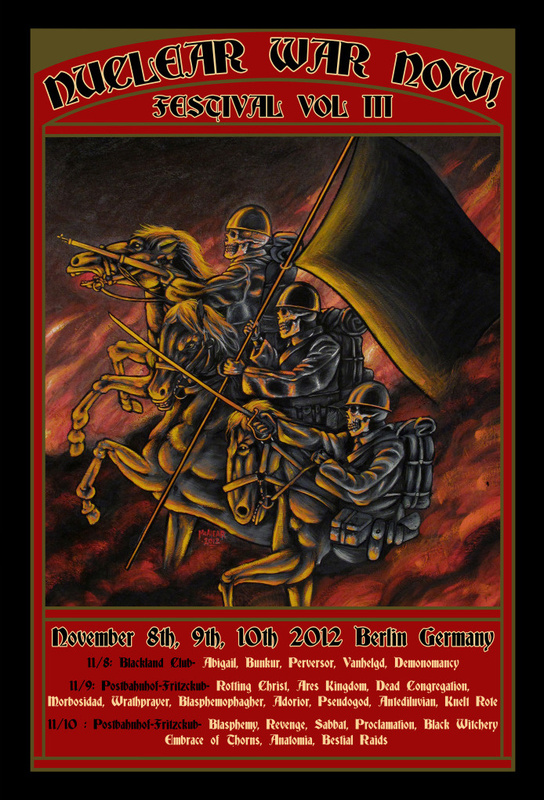 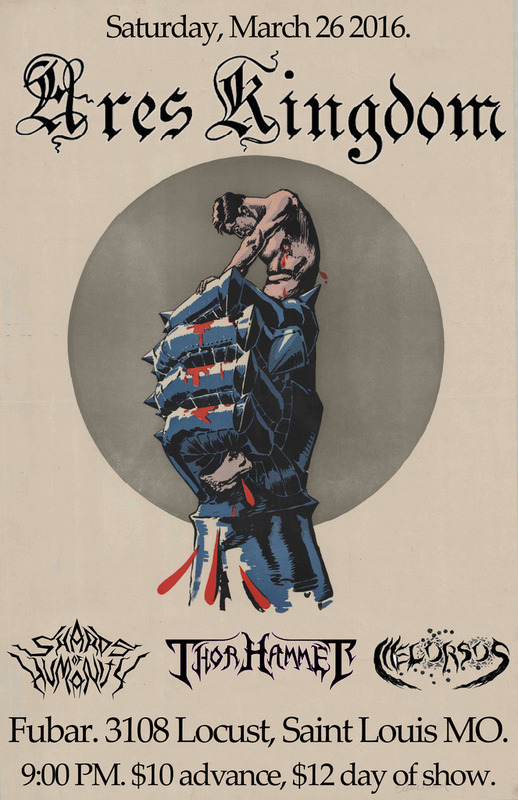 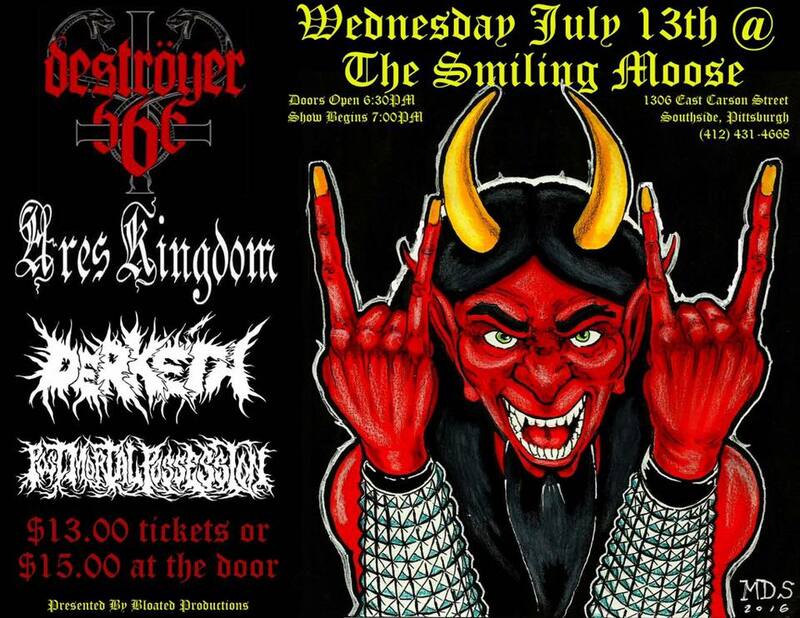 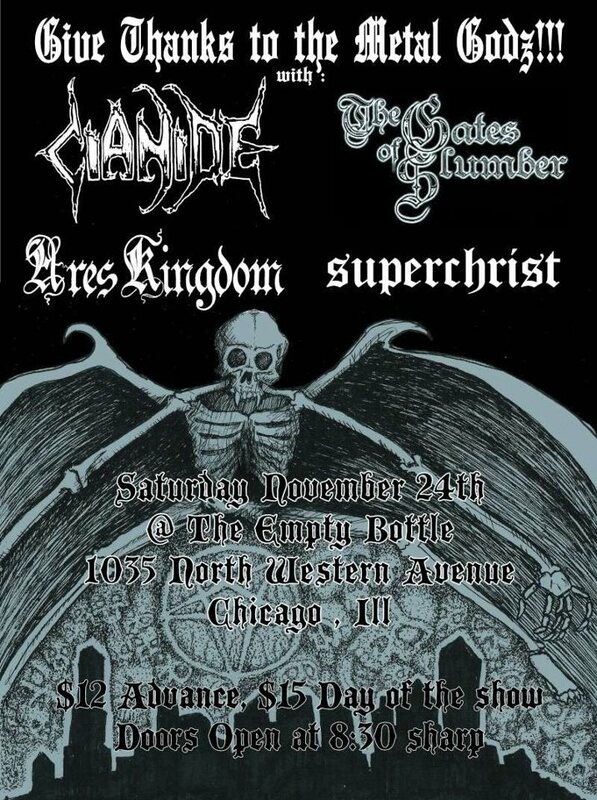 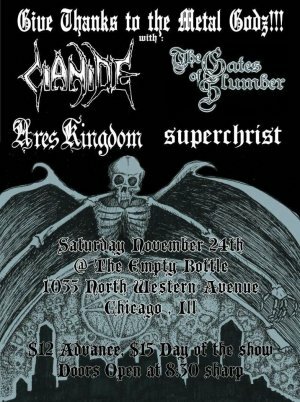 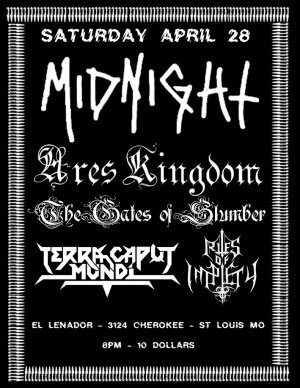 The second date of the Order From Chaos reunion tour, and the final show at the Black Castle! 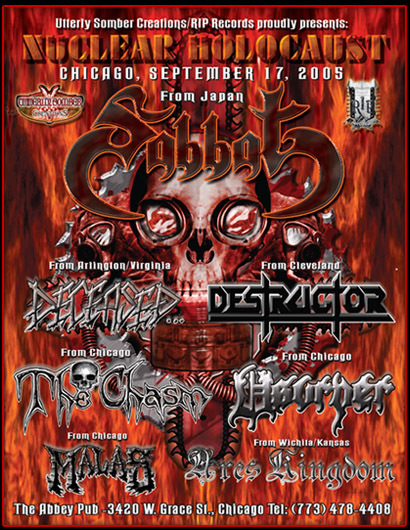 The first date of the Order From Chaos reunion tour, in their home city! 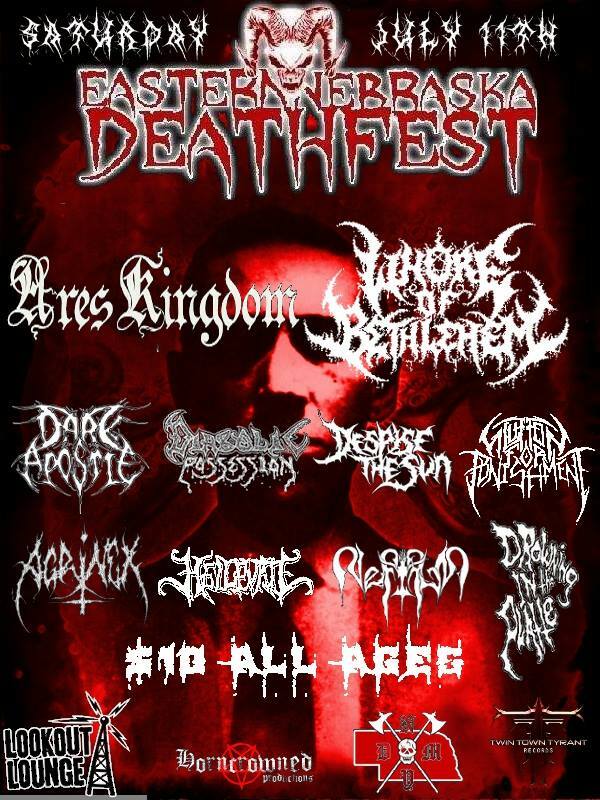 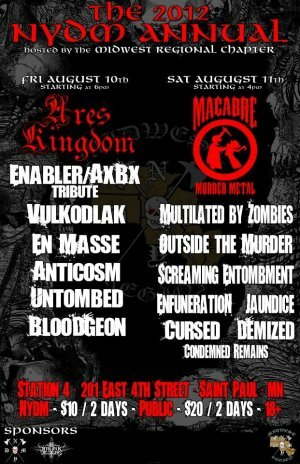 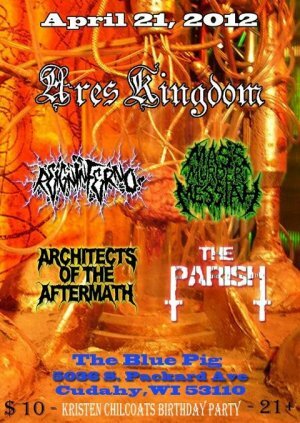 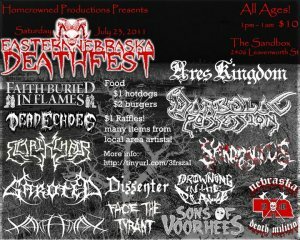 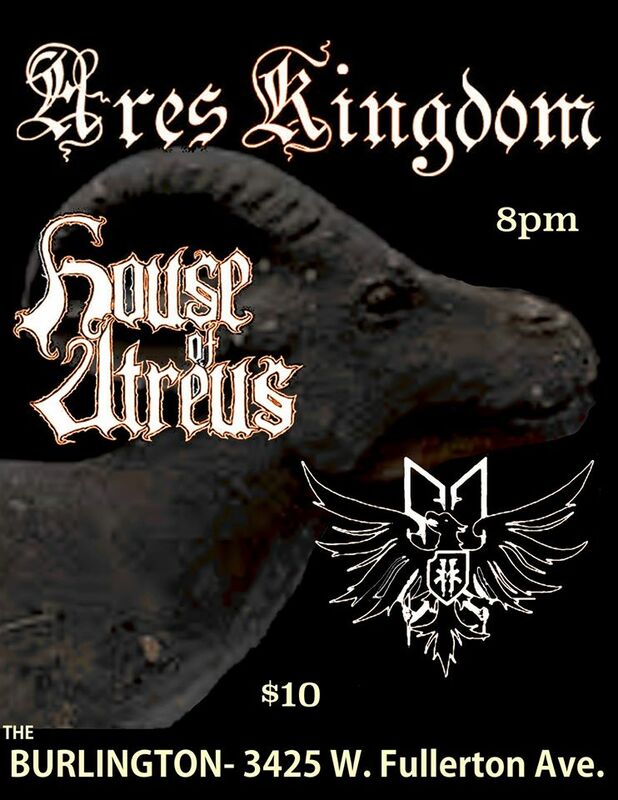 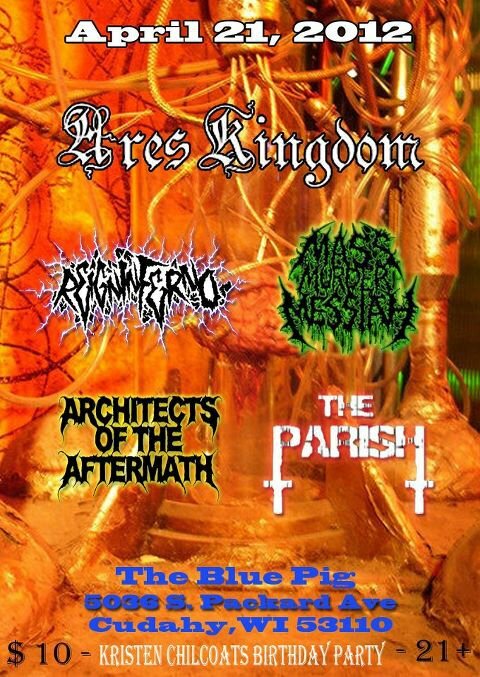 Ares Kingdom will play an abbreviated set right before OFC takes the stage! 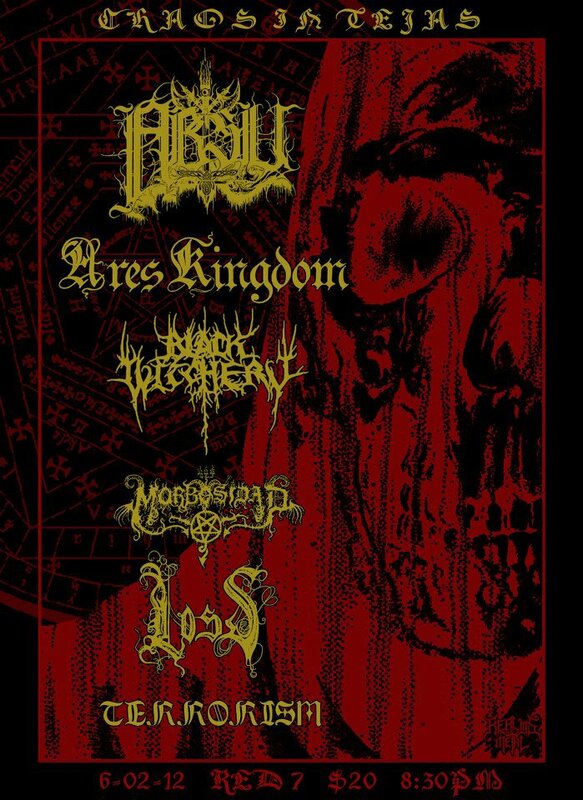 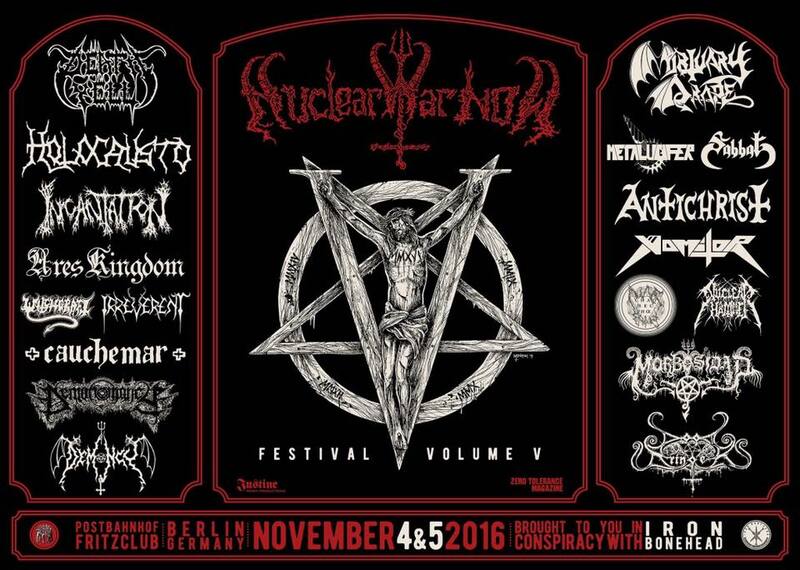 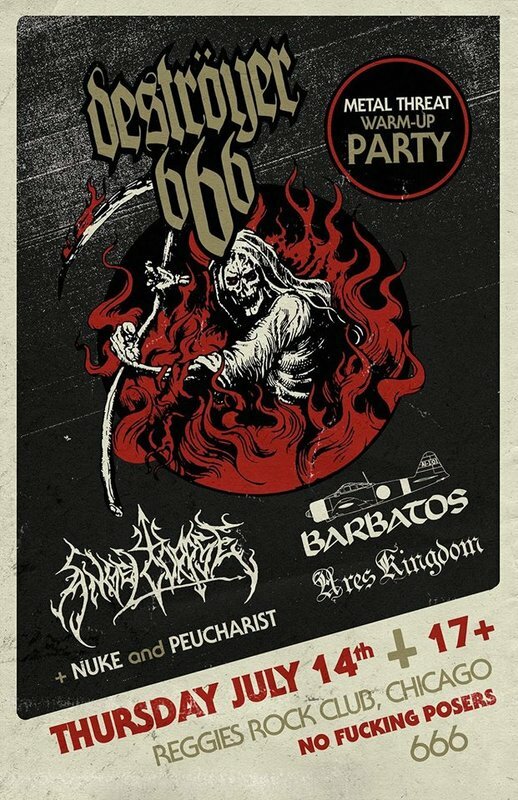 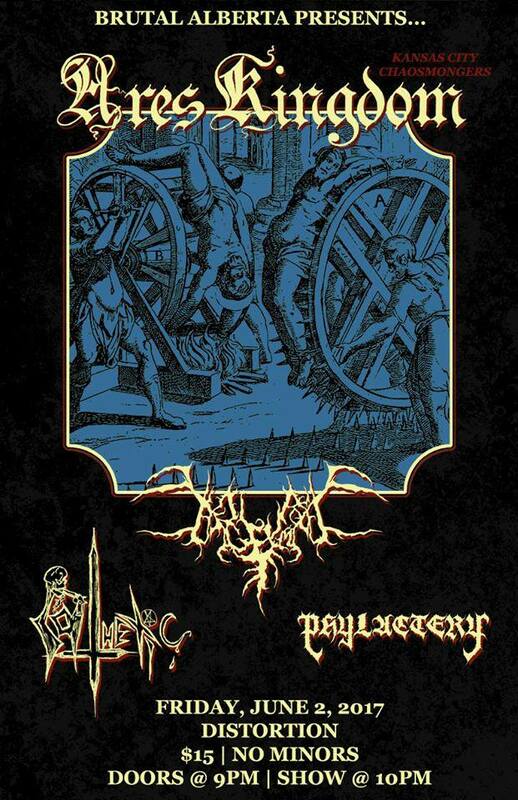 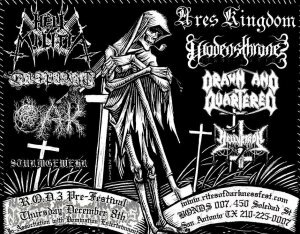 The unholy legions are summoned to gather for the first NWN international black/death/thrash live ritual. 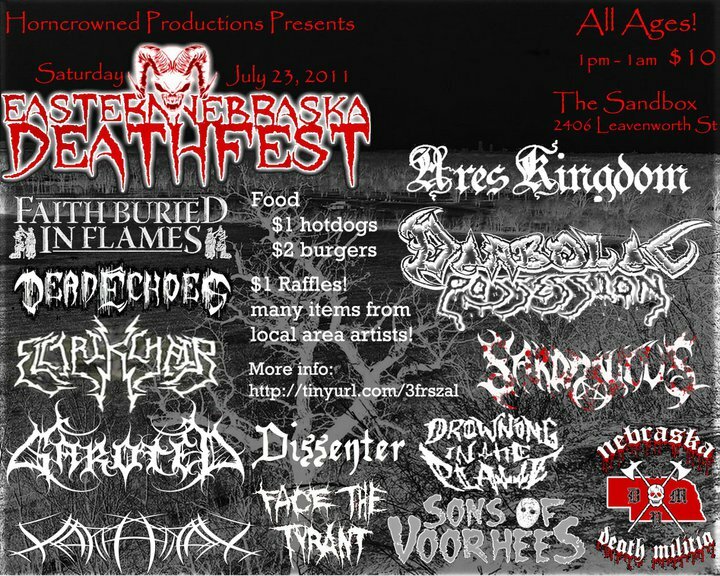 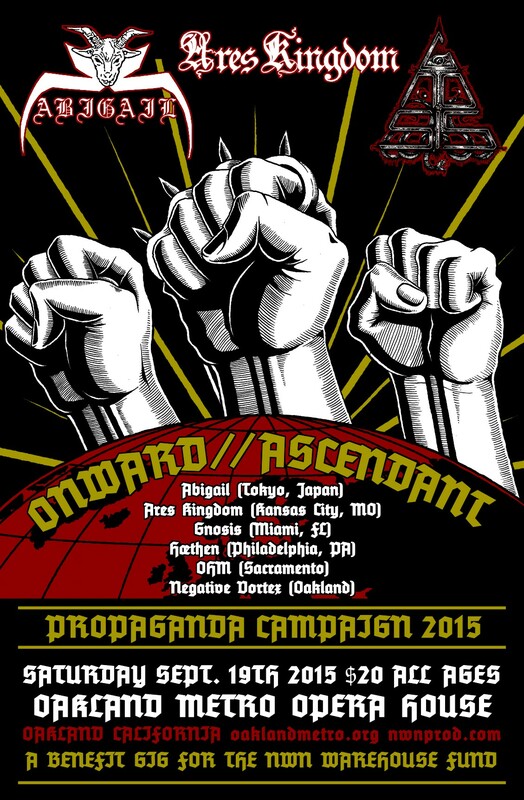 See fest flyer 1, flyer 2, and flyer 3.
also with Kilyakai, Norrath, and Tosca. 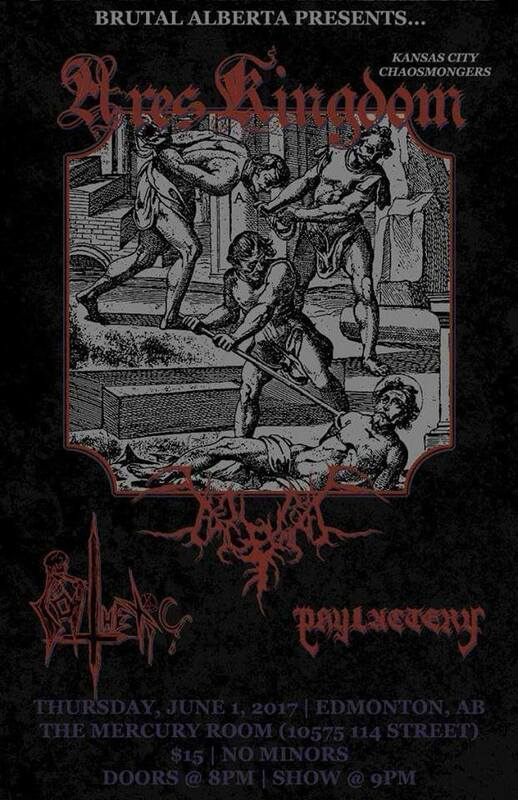 with Torn Apart and Pullchain. 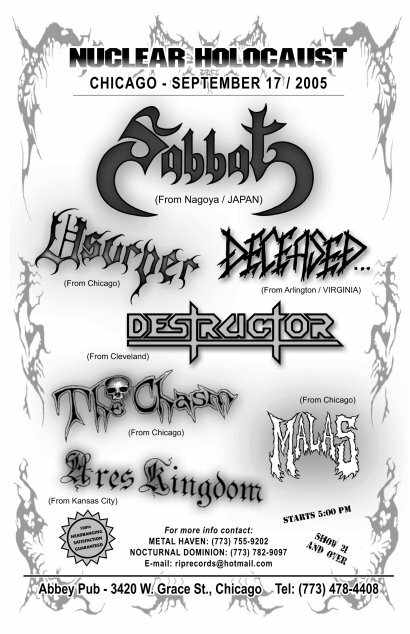 See show flyer & pics.